SAP India has announced that Adarsh Credit Co-operative Society Ltd, a leading multi-state credit co-operative society, has chosen SAP solutions for financial services with clear goals: faster development and introduction of new products and meet increasing customer demands by shaping solutions to fit the realities of the modern-day financial service institution. This implementation enables Adarsh Credit Co-Operative Society Ltd to improve the accessibility of customer information and empower its customers to conduct financial transactions on a user-friendly and cost-efficient application platform. Adarsh Credit Co-Operative Society Ltd. becomes one of the front running customers to leverage the strength of SAP solutions for the financial services institutions. With a reach of over a million members across India through its branches and advisors network, Adarsh Credit Co-operative Society Ltd serves customers based in remotest areas of India. They needed technology solutions that supported their vision of financial inclusion at any time or place across India. Their team already runs SAP Mobiliser that helps them empower the low income population with simplified cash collection procedures and secure transactions conducted over mobile device. The financial services sector has always been a key focus for SAP India to deliver innovative products and services which can further upward organizations to unlock growth opportunities and better serve customers with new-age technology. SAP solutions for the financial services sector are designed to support customer centricity, real-time processing and standardization while enabling faster product innovation. HP has announced new software releases designed to help organizations deliver mobile applications that delight customers and score 5-star ratings. The innovations harness HP’s unique assets in big data analytics,application lifecycle management, IT operations management and security to enable organizations to accelerate the delivery of every phase of the mobile app lifecycle, from creation and pre-production, to delivery and post-production management. “HP allows us to take big data and make it actionable, so we can deliver exceptional user experiences on our mobile speech translator app,” said Yan Auerbach, COO, SpeechTrans (@SpeechTrans), a leading speech translation company. “Previously, it took us up to three weeks to fix an app issue and now we can address any problem in less than 2 days. Leveraging HP software has enabled us to achieve consistent 5-star ratings in mobile app stores – a key driver of new customers and revenue.” Video: learn how SpeechTrans uses HP Software to increase their number of downloads, boost their Android ratings, and go from three to five star reviews in the app store. · HP has also released an enhanced version of Application Lifecycle Management that greatly simplifies the task of defect and test management across fast-moving mobile dev and test teams and extends support across a wide array of browsers and platforms. 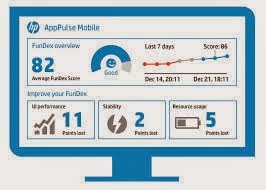 · A new version of HP Network Virtualization, with an enhanced user interface and updated performance optimization capabilities helps app development teams incorporate real mobile network conditions in development and testing, ultimately enabling the delivery of apps with an ideal user experience. 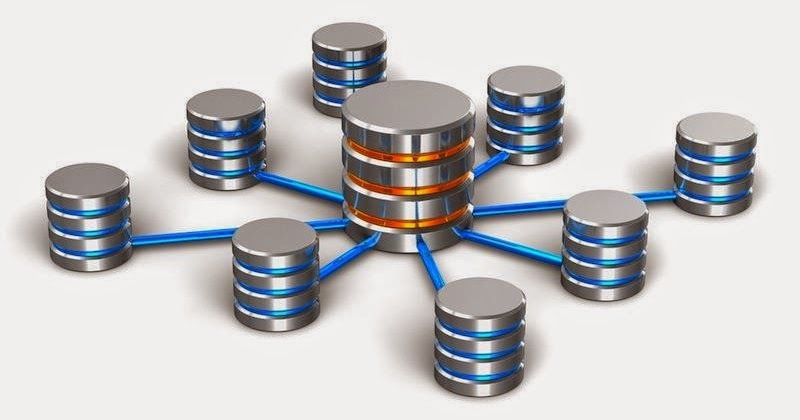 · A new version of HP Service Virtualization provides critical capabilities for driving mobile development without delays, by extending support for popular protocols such as Websphere MQ, SAP RFC/IDOC. · Supporting mobile performance testing, new releases of widely adopted HP LoadRunner and HP Performance Center are now integrated with HP Mobile Center, giving mobile QA and development teams’ continual access to real devices in their performance test scenarios. · New updates to HP’s cloud-based load testing service: HP StormRunner Load improves performance analytics, extends international geographic coverage to create local load, and supports additional native languages (adding both Chinese and Japanese). HP StormRunner Load’s intuitive user interface makes it easy to scale both web and mobile load tests to over one million virtual users. Following its GEN14 announcement of the project launch in November, the MEF has now approved the next phase of the MEF Ethernet Interconnect Points (EIP) project to standardize guidelines for current and future Ethernet Carriers around the globe. 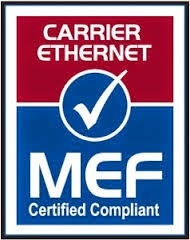 In a first for the MEF, the organization has assembled some of the largest Ethernet Operators, all under one roof, for the purpose of streamlining how they interconnect their Carrier Ethernet services. The EIP project complements a separate, newly introduced MEF initiative – the Services Interconnect Program (MEF-SI) – that will give hundreds of small wholesale Carrier Ethernet Operators the opportunity to offer standards-compliant Carrier Ethernet services quickly for their customers. The EIP project will provide rapid feedback from prototyping to help the project participants agree on a common approach to interconnecting by using MEF specifications. EIPs comprise all aspects of Ethernet interconnect – including all the requirements needed to provide a customer with an end-to–end Ethernet service spanning multiple operators. Specific aspects include: location selection, External Network-to-Network Interface (ENNI) parameters, and alignment of business processes. 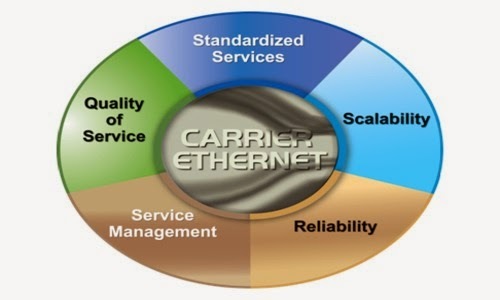 With more than 50 current MEF specifications for Carrier Ethernet architectures, connectivity services, and service lifecycles – and many more in the pipeline to cover the emerging area of Lifecycle Service Orchestration (LSO) – demand for implementation guidelines for multi-carrier environments is growing rapidly. The EIP project is developing use cases representing topologies and service characteristics typically used by carriers that interconnect their Carrier Ethernet services with one another to create end-to-end Carrier Ethernet services.